Ah, that’s a shame, right? We were kinda hoping that HTC would take the opportunity to bundle its awesome-looking new Knuckles controllers in with its VR headset update, but according to RoadToVR that won’t be happening. It’s not all lost though. The new Vive Pro will launch alongside an update to the existing controller that will make it compatible with Steam Tracking 2. We were very much looking forward to the capacitive sensors in the new, more compact Knuckles controllers that detect when your fingers leave the controller but don’t necessarily have to press any buttons. 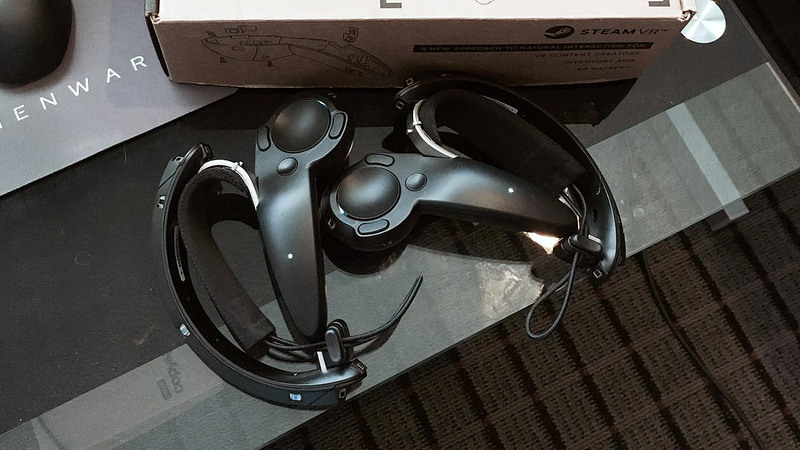 That alone will make them incredibly dynamic compared to current VR controllers, but it looks like we’ll have to wait a little longer to see. Dev kits of the Knuckle controllers are already in the hands of some studios, but otherwise there’s no mention of a consumer launch. Watch this space! Valve make the knuckles not HTC.